Engine valves are used in most piston engines to open and close the intake and exhaust ports in the cylinder heads. The valve is usually a flat disk of metal with a long rod known as the valve stem out one end. Engine valves usually made up of silicon alloy steel. Nowdays stellite alloys are used much to increase the wear resistance and for operations high temperatures. 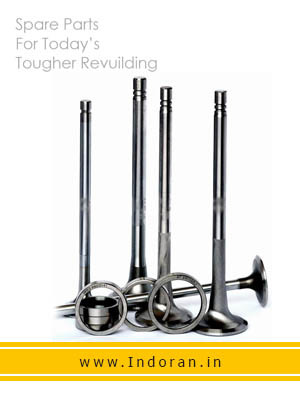 Valves are processed with nitidization or chrome or titanium platting to harden the surface and stem.